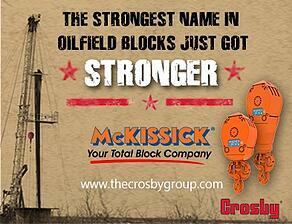 (Tulsa, OK) Crosby is pleased to introduce two new capacities of McKissick 70 & 80 Series tubing blocks. The new tubing blocks are a better match for the increased mast capacities of today’s well servicing rigs. These new block capacities provide maximum flexibility to our customers and are setting the new standard in tubing blocks for the well servicing industry. The new 125 & 175 ton working load limit tubing blocks incorporate all the same features and benefits you expect from the leading block manufacturer, including being RFID equipped for electronic inspection tracking. 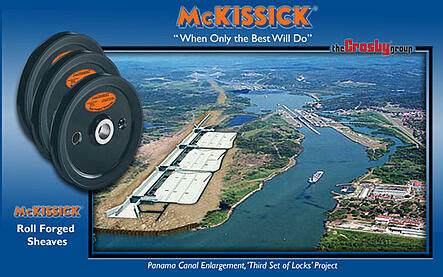 All Crosby McKissick tubing blocks are manufactured to API 8C standards. 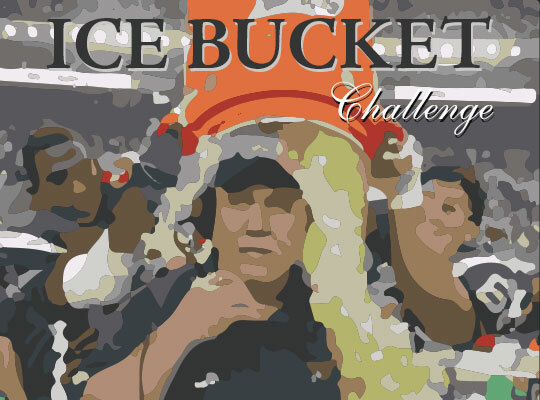 On Wednesday, August 20, 2014 President-Jason Struthers, Andy Vogl -Vice President of Sales, and David Dixon-CFO with Crosby® got doused with a refreshing bucket of ice cold water by a few of our other executives Peter Fehl-Vice President of Marketing, Sam Hale-Director of Human Resources and Mike Wheeler-Director of Marketing respectively. This was in response to Crosby® taking the ALS Ice Bucket Challenge to raise money for ALS. Donations were made by Crosby® to help this very worthy cause to conquer this devastating disease while Crosby® challenged others to take up the challenge and donate as well. (Tulsa, OK) Crosby is pleased to announce the release of our newly redesigned website. In an effort to serve customers more efficiently, Crosby has added more functionality and improvements to the site. Search for product has been simplified through new product/industry selectors and global site search. For convenience, the many resources and tools designed to assist customers in their various planning activities can not only be found in the main navigation of our site, but also with the product to which they specifically pertain. CAD data, one of these many resources, has a simplified sign up process and 3D drawings are now offered in addition to 2D. 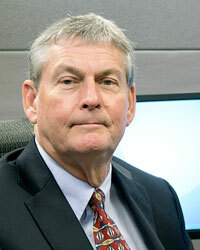 A Career Center has also been established to reach out to potential employees and interns. The Crosby Group (“Crosby”), which is home to leading brands Crosby, McKissick, Lebus, and National Swage, announced today a partnership with Warriors 4 Wireless. 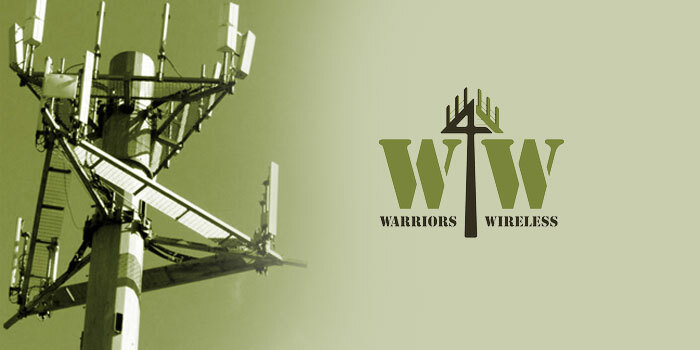 Crosby is donating mission critical lifting and rigging equipment and training as well as making a financial contribution to support Warriors 4 Wireless, an organization dedicated to helping veterans transition to new careers in the wireless industry. 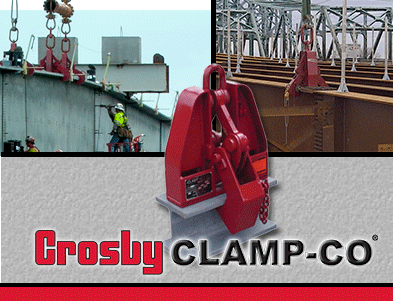 (Tulsa, OK) To meet the needs of larger and longer steel bridge designs, Crosby® CLAMP-CO has added a beam clamp with a 55 metric ton Working Load Limit (WLL). The new clamp features a jaw opening for flange widths of 36” to 55” (914mm to 1397mm) , and flange thickness up to 4” (102mm). Utilizing this larger clamp, faster and easier erection of the larger beams currently used in bridge construction applications can be achieved. This clamp is available as special order and is made to the customer’s specifications. Beam clamps with 5 metric ton to 35 metric ton Working Load Limits and jaw openings from 4” to 36” (102mm to 914mm) are a standard offering available today. (Tulsa, OK) Crosby® is pleased to introduce the new Crosby Locking Thimble System featuring the new G-414SL Locking Thimble. Shackles are sometimes substituted with inferior or improperly sized shackles in the field, compromising the integrity of a wire rope sling assembly. 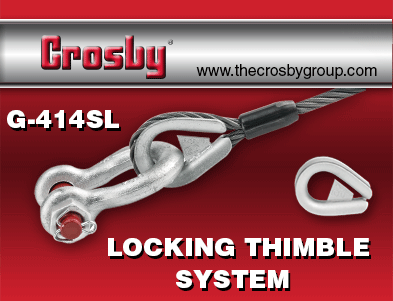 To avoid this, Crosby has created the new G-414SL Locking Thimble System, utilizing a thimble designed with a lock mechanism which prohibits removal of shackle when properly applied. 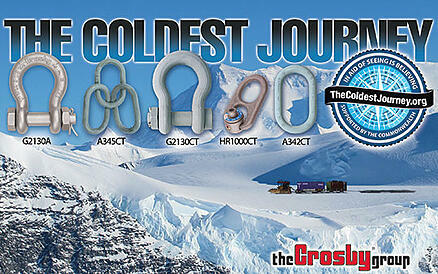 (Tulsa, OK) The Crosby Group is pleased to introduce the new Crosby 2170 Grommet Shackle series. 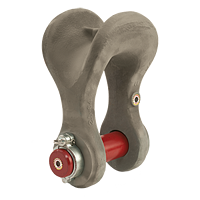 These shackles are intended for critical lifting applications that require high capacity with limited or tight headroom, such as chemical plants, refineries, interstate highway construction and offshore derrick barge cranes. Through an Authorized Crosby Distributor in Europe, Crosby® is pleased to supply several, 64.37in./1635mm diameter, roll-forged sheaves for a project concerning the Panama Canal Enlargement, known as ‘The Third Set of Locks Project’, commissioned by the Panama Canal Authority. Crosby Contributes to "The Coldest Journey"
Crosby is excited to be chosen as a partner for the world’s greatest living explorer, Sir Ranulph Fiennes, in his toughest challenge yet: a trek across the Antarctic in winter, known as ‘The Coldest Journey’. With the support of the Commonwealth and sponsors, including Crosby Europe, Sir Ranulph and five colleagues are currently testing the limits of human endurance in temperatures that fall as low as -90° C as they cover 2,000 miles in 6 months crossing the polar plateau. The Tulsa, Oklahoma, based Crosby Group, a global leader in accessories for lifting and material handling applications, has announced the addition of Bob Myers as the Block and Sheave Product Specialist for The Crosby Group. In his new role, Bob is responsible for sales and marketing support for Crosby’s distribution partners, OEMs and end users who have chosen or are considering Crosby blocks and sheaves for their lifting solutions. Bob will be working closely with multiple resources within Crosby to identify new product innovations, develop new tools, promote Crosby’s design and performance benefits, and assist the extended Crosby sales organization along the successful growth trajectory that the block and sheave product line has enjoyed to date.